Absolutely amazing. It’s hard to imagine I’ve now been to these places that I learned about in Mrs. Pittman’s 11th grade art history course. The Abu Simbel temple is a little more difficult to get to than other Egyptian temples, but it’s totally worth the journey. Hi Janice, So many of Egypt's monuments are fascinating every which way throughout history. Even the modern history of finding them and moving them. So much wonder here! Egypt is really a very beautiful, ancient, primitive and a very historical destination with all the beautiful and sacred tombs, shrines and all the great sculptures of the olden era of Egyptian civilization and all the great architecture of ancient times. It is a unique destination of preserving the dead all the mummies are preserved here with all the wax and other materials and are very unique and price-less and too antique which are all very historical and memorable. Yay the wombat is in Egypt! I am really fascinated with ancient structures like the Pyramids, Taj mahal, Angkor Wat and many more it is quite intriguing n how did they mange to build such structures with a limited equipments isn't it fascinating or what? *dreamy sigh* One day I will be there… one day…. 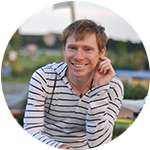 Jeremy – Yep I'd agree with you about Abu Simbel. I'm so glad I took your recommendation, too. If you hadn't pestered me so much to see it I might've skipped it!!! Thanks Jenna! Egypt is beautiful. But I'd recommend visiting in a cooler climate — especially if you go to places like Abu Simbel. It can get unbearably hot. Yep, Abu Simbel is absolutely amazing. Not everyone goes because it's so far out of the way but it's definitely worth the trouble. Hahaha Sasha! Didn't think about that but you may very well be correct! I haven't been to Egypt yet but I find more people are impressed with this than the pyramids. I love the wombat photos, and this one is great– such an exciting and impressive place. I haven't been there but Egypt is high on my list. 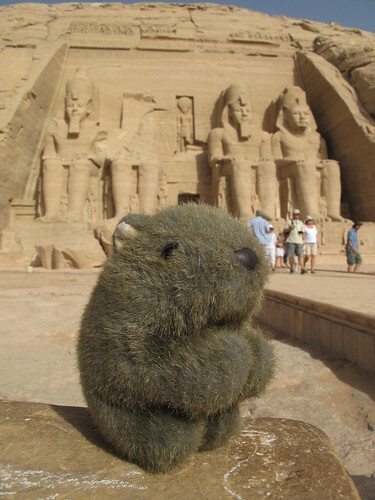 I wonder if this is the first wombat to go to Abu Simbel!! !